The Finance Ministry are expecting licensing issues for digital assets management later this year and early next year after the SEC received applications in mid-August. The SEC are expected to review these applications for two months before finally submitting the applications to the Finance Ministry for review and issuance of licenses. Six companies are seeking licenses as digital assets exchanges and two for digital assets dealers. The SEC are allowing the companies to operate as they submitted their requests within 90 days of the Royal Decree on digital assets in mid-May. Some Thai securities firms have shown an interest in partnering with digital assets exchanges and after licenses are issued the market is expected to grow if financial regulators allow institutional investors to invest in them. Customers of AIS, Rabbit Line Pay and KBank will now be able to make QR payments from their digital wallets in both Singapore and Thailand as Singtel have signed as the merchant with 1.6 million Thai merchants now displaying the Thai QR code. This is the first deal of its kind allowing both telecommunications firms wallets and non-telco mobile wallets across borders. Singtel plans to expand the partnership in the future to include Indonesia, the Philippines & India. 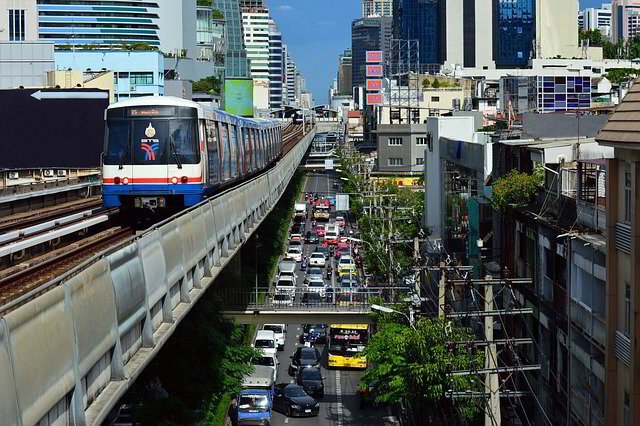 The World Bank has this month raised its economic forecast for Thailand with an expected rate of 4.5%, which is 0.4% higher than expected previously in April. Faster spending on major infrastructure projects and strong exports are to blame. In August, exports reached $22 billion, a 6.68% rise with a 9% expected increase from the Thai National Shippers Council. Although exports are down to China slightly, they have grown steadily to rest of the ASEAN. Thailand's main exports are from fruit and rice, with it's main manufacturing exports being cars.